It wasn’t difficult locating Fola Osibo street (thanks to google maps), but finding Petit Paris was a little confusing as we didn’t see any signage at first. PARKING: There’s parking for about six cars within the compound, and there is also street parking. 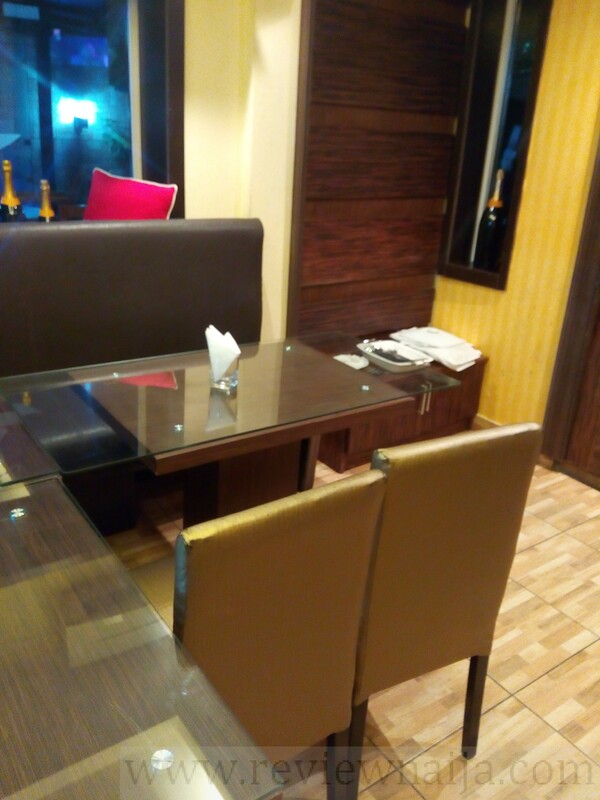 AMBIANCE/DÉCOR: Interior is beautiful with music from the television playing in the background. 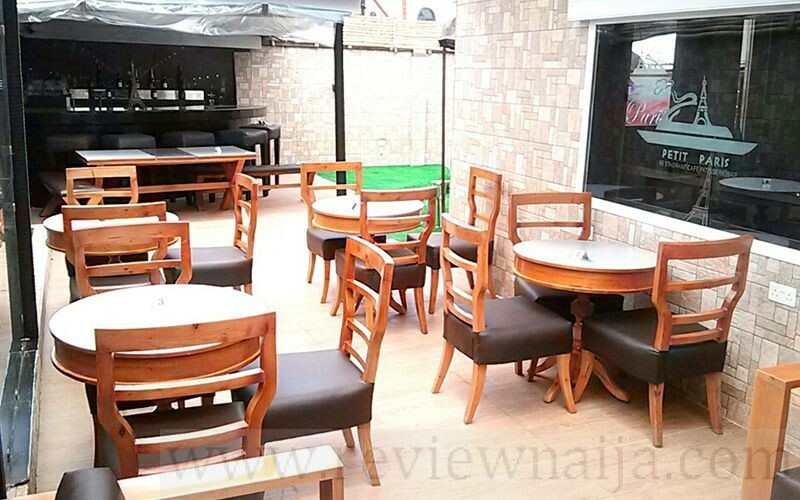 There’s a bar section outside and then the restaurant area which is quite cozy and has both outdoor and indoor sitting. 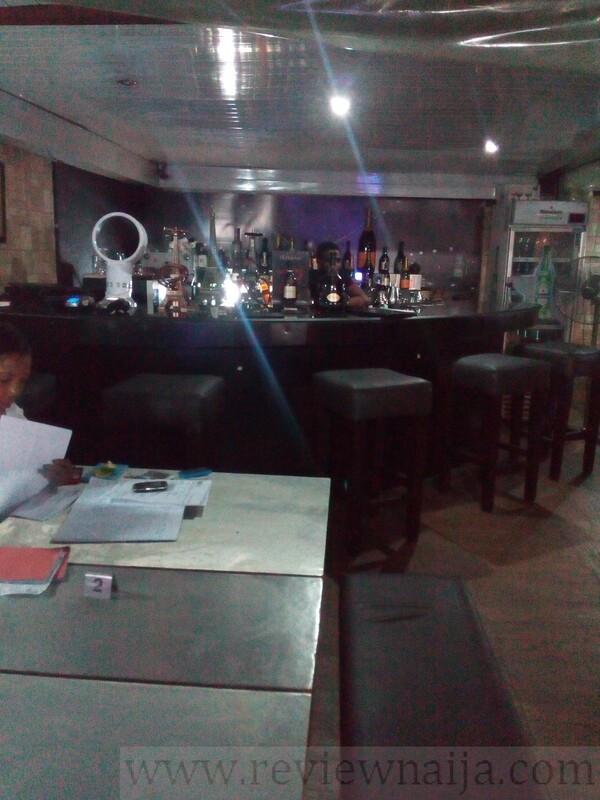 I think it’s a great ambiance for a romantic dinner, dine alone or even just drinks at the bar. 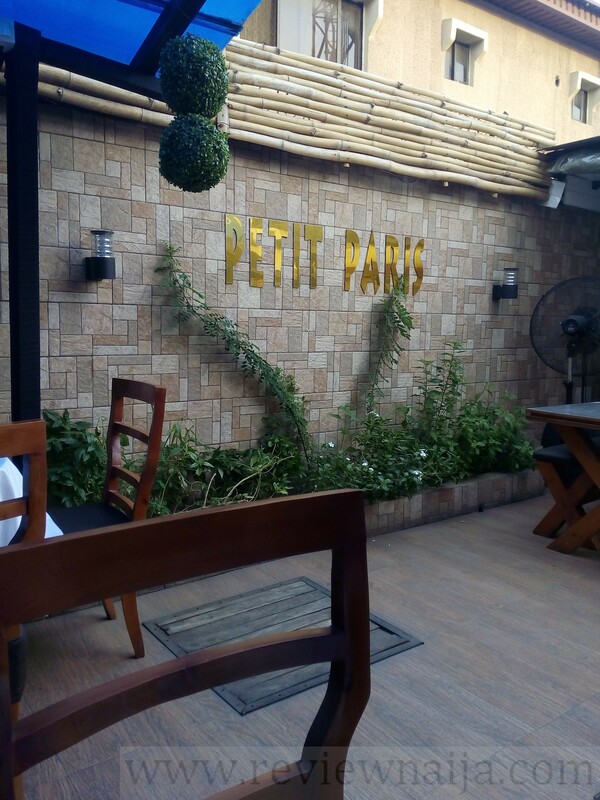 I wouldn’t recommend Petit Paris for a family outing. 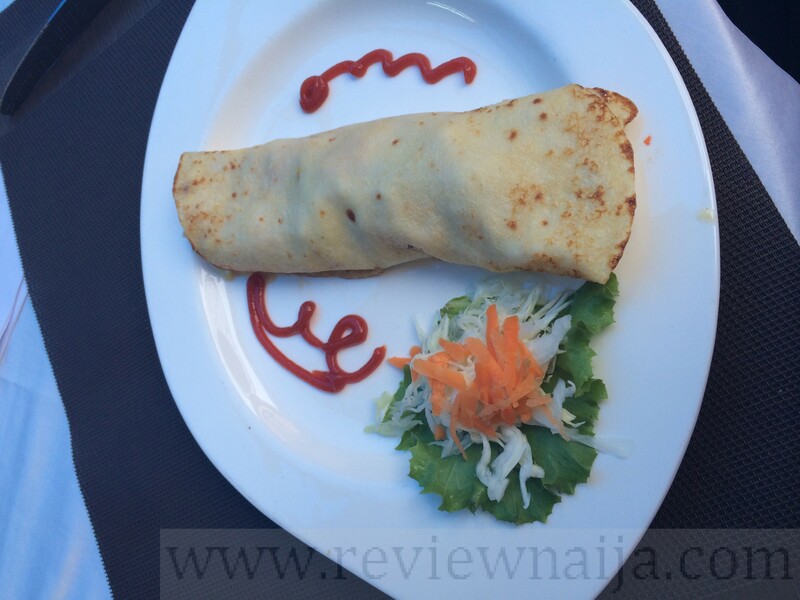 FOOD: About eight minutes after we were seated, we got our appetizers (which range from 1,500 Naira – 4,100 Naira). 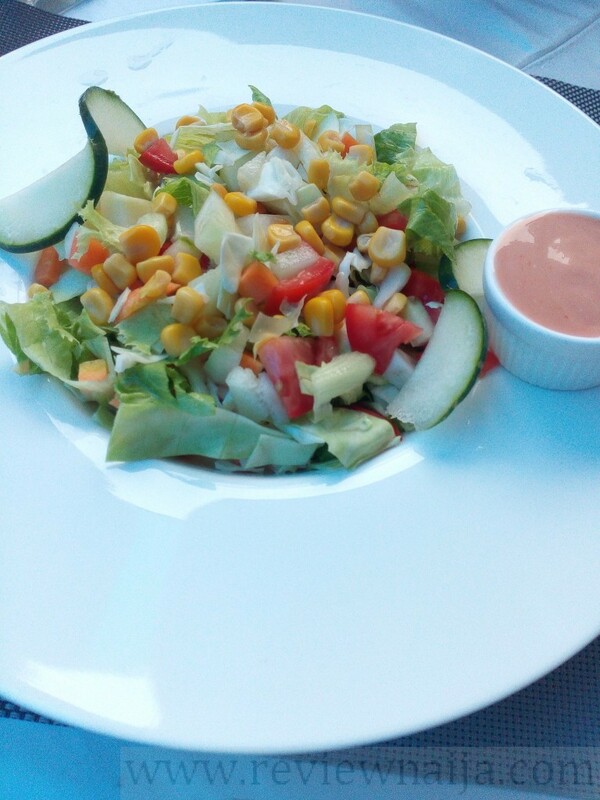 I had the All Season Salad which was really amazing, while my friend got Crepes Farcis Au Poulet (savory pancakes stuffed with creamy chicken and vegetables). I had a bite of his crepes and they were lovely! Five minutes after our appetizers, the entrees arrived. I was pretty impressed as we didn’t have to wait donkey years. 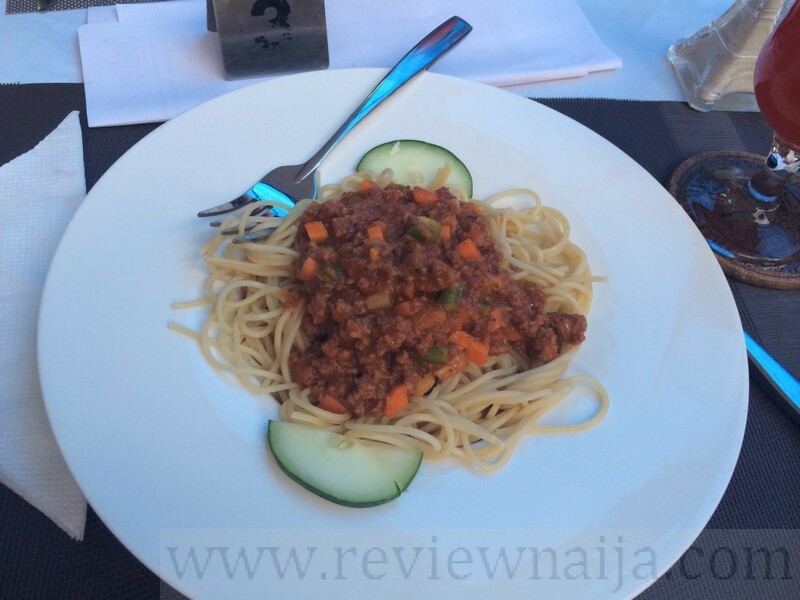 Entrees range from 2,500 -3,600 Naira. 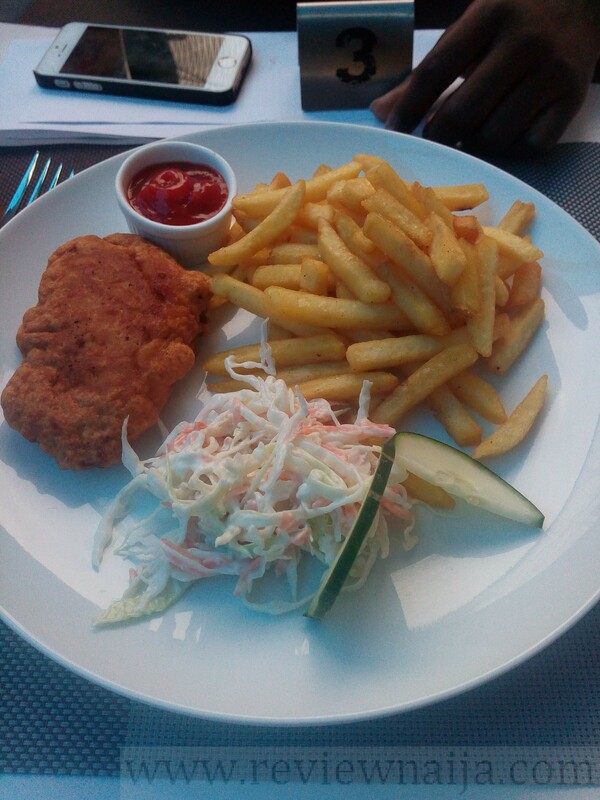 I had Battered Fish with Fries and Coleslaw, while my friend got Spaghetti Bolognese. I enjoyed my fries; well salted and well fried. I didn’t enjoy the battered fish; it was spice-less and I can’t stand eating food without spice. I tried my friend’s spaghetti and thought it was delicious, but he didn’t like it much. Desserts arrived almost immediately after our entrees. That was very impressive. 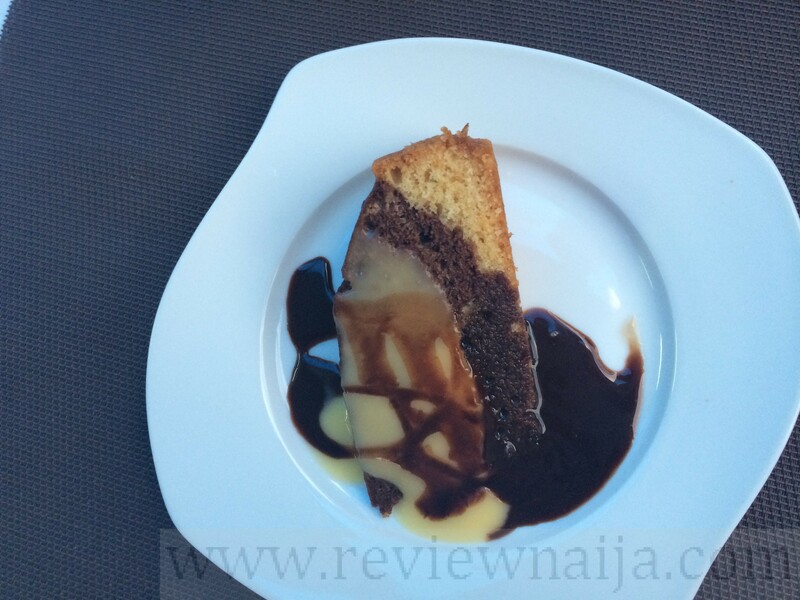 Desserts range from 2,000 – 3,500 Naira. We had the marble cake with chocolate syrup and it was AMAZE-BALLS. 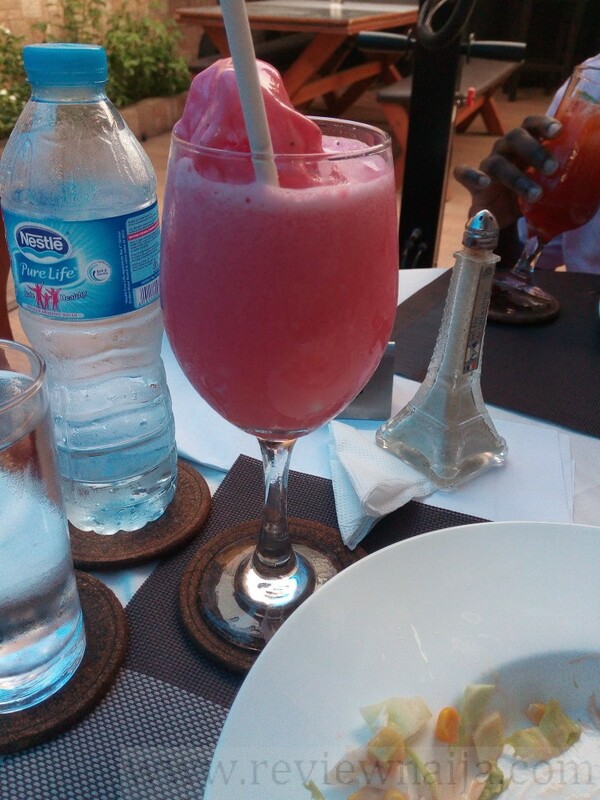 DRINKS: I had a strawberry smoothie (repping #FitFam) while my friend had a Chapman. 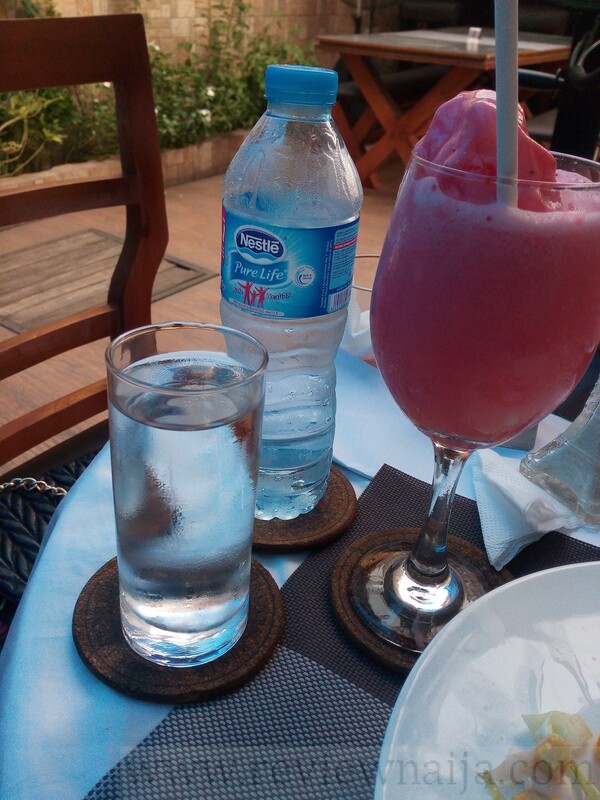 We also got a bottle of water (cost 300 naira). Cocktails cost between 1,000 – 2,500, which I think is pretty affordable. 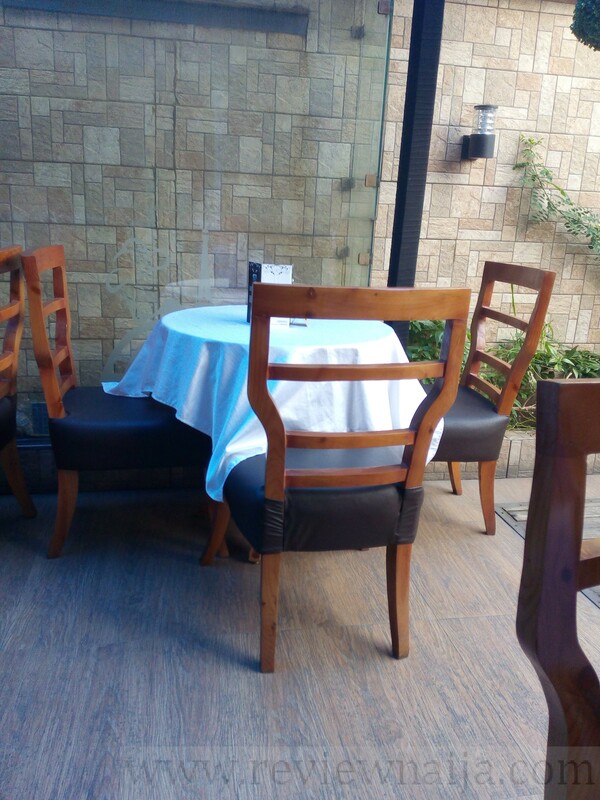 SERVICE: We didn’t have to search for the waiter, on the contrary, he was waiting for us most of the time. 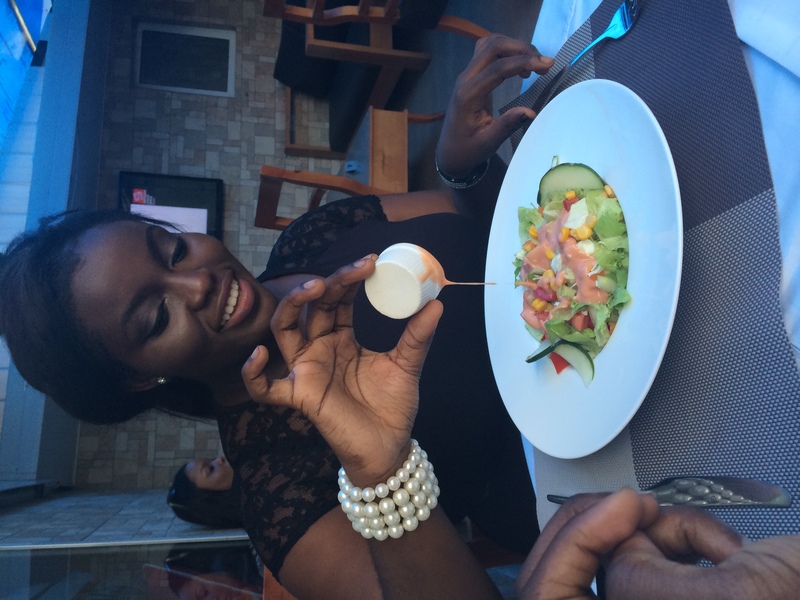 Our waiter was very polite and shy, however, I caught him dancing shoki…lol. I could only see one waiter though, and I couldn’t help but wonder what would happen if a large crowd came in. 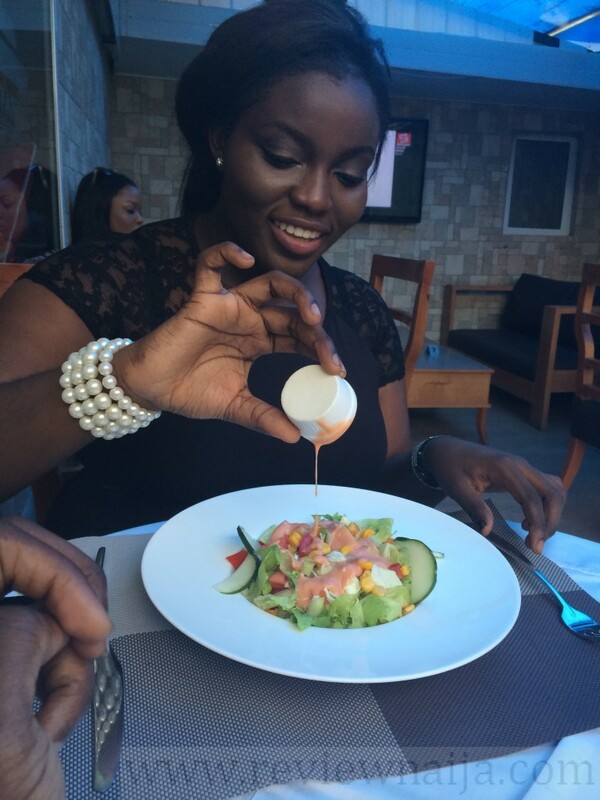 Anyway, our bill was 2,300 Naira and we paid via POS (no POS issues whatsoever). 2. They should get a functional bug zapper. I noticed there was one available, but I didn’t see it go on (and that fly almost ruined my entire experience). Do you suggest heels or flat for a bday dinner in petit Paris? And for like 7pple, indoor or outdoor? Heyy, for 7, hmmm Outdoor. But pray that flies doesn’t antagonize you. And Flats please. There is grass and all that. Hi SG, for a crowd of 11 (birthday dinner), would you advice indoor or outdoor? And should ladies do heels or flats? Lol. Hey yemi. I will suggest you do indoor. I doubt outdoor can take up to 11 people. Also. Do Flats!!!! So comfortable. Also, you should try the Le Petit Paris riz au lait de coco (coconut rice).too amazing. I bought this same deal, but I went for the grains instead. Fried rice and all that. I stayed indoors, and it was fine.. Although I would have preferred if it was cooler.. I mean temprature. I can bet we were served by the same waiter. I had the cosmopolitan and it was really good. Nice review SG. The dessert looks tempting. I’m on a diet and I really should stay away from your restaurant reviews cos I find myself drawn to that cake!!! Lol. Awwww. Its good to treat yourself once in a while.. Thanks for reading..